The roasting process can be viewed at any time and when cooking is complete carving is commenced in view of all your guests. At no time is there a requirement for re-positioning of the roast from its original cooking position. Serving will be carried out in traditional chef’s checked attire with straw boaters providing that extra special presence at your special occasion. We attend whatever the weather, provision and erection of gazebo(s) will be accommodated for the occasion if no other suitable cover is available enabling your guests to enjoy the experience despite any inclement weather. 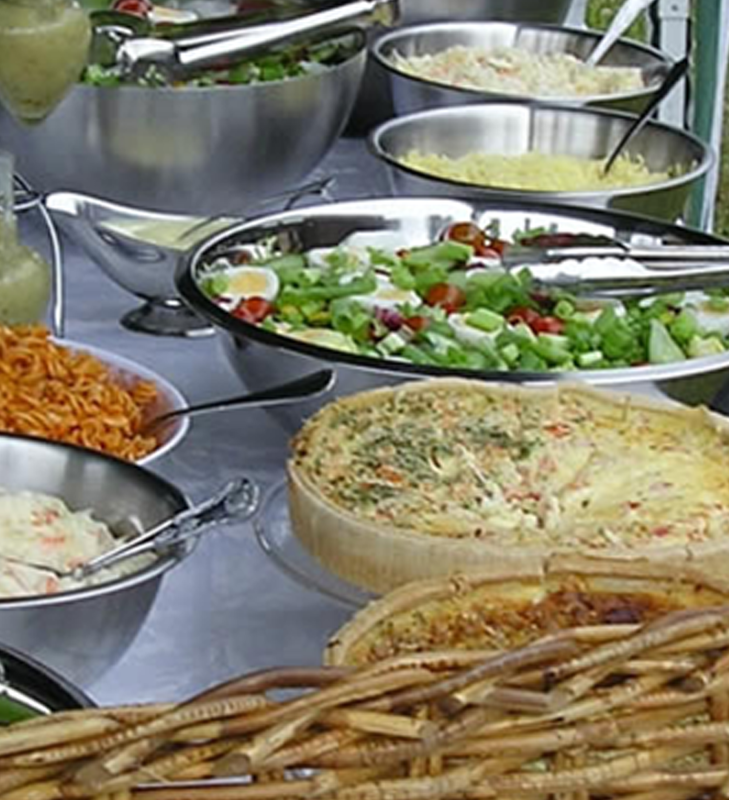 Our staff will be in attendance at your venue in advance to ensure the correct setting for your celebration in addition to the roasting, carving and serving of your food. We assure you that our standards of hygiene are second to none. All of our bread is specially baked for us by our baker to ensure you receive top quality produce. A choice of bread is available to you. We supply mouth-watering portions to fill the hungriest of appetites. Once your guests have been catered for, including seconds if they have an enormous appetite, we carve any remaining meat to platters accompanied by any remaining freshly baked bread. Roasting and clearing away and tidying of the buffet area will be conducted with discretion having due regard to the safety and well-being of your guests. All rubbish will be removed from the venue in compliance with Environmental Health procedures leaving the area spotless.